Chris Ready may be recognised as the most versatile DJ in Leeds, but he has been caught cold by a digital revolution where IT geeks hold more sway than his musty record collection. It’s a far cry from Ready’s romantic beginnings as a student DJ at the turn of the century, dazzling Drum ‘n’ Bass nights with his old sidekick, MC Strait. When Ready discovers that Strait, now travelling in South America, has been kidnapped by Colombian guerrilla fighters, he gets drawn into a family’s emotional campaign and decides to reconnect with the old friends who shared the ‘Ready and Strait’ heyday. 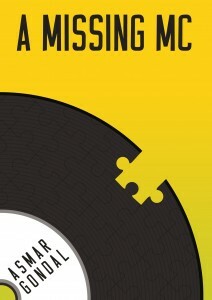 Set in newly refurbished Leeds, amid the backdrop of a country basking in the final months of lofty Blairite aspirations, A Missing MC is a novel about how friendships change over time and the burden growing up can place on precious ideals.